New Car Buying Tips to Get the Best Deals in 2019! Using our car buying advice and tools, you'll get a great deal that is more than fair for the dealership. If you set out to buy new car and aren't prepared, then prepare to get ripped off, it's that simple. People have no problem taking weeks to plan a vacation, but don't spend a few hours doing research before they buy a $30,000 vehicle. You'll be able to save a ton of money by following our advice. Why the Best Price Doesn't Mean the Best Deal. There are several factors in car buying to consider aside from the price of your new car. Know and consider these before you buy a new car. Car buying prices vary, depending on the time of the year. Know when you can get the best new car deal. 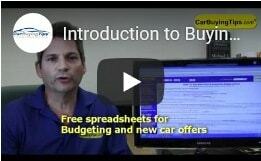 Know how to prepare for buying a new car through simple online research. 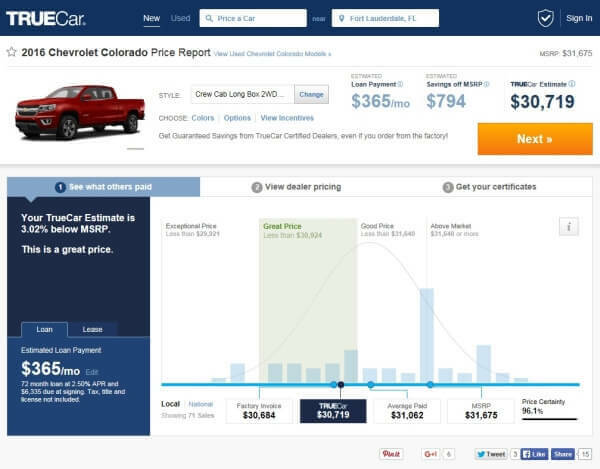 Here are FREE tips to finding the best new car deals and incentives online. New car sales competition works to your advantage. Find out how. They give you a very low new car price. Finance manager sneaks in car buying fees. The dealer undervalues your vehicle trade-in. Your car loan APR is increased. The buyer in this example thought they were getting a good new car deal because of the low price, but they actually got ripped off. We'll explain all of the tricks to look out for and teach you how to avoid becoming a victim. To save the most money make sure you read the whole site. If you miss one valuable topic on CarBuyingTips.com it can cost you thousands of dollars. 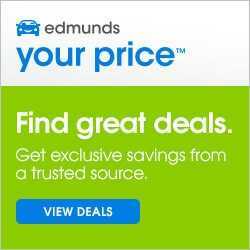 Begin by getting the lowest price using services like TrueCar, CarClearanceDeals, Edmunds and Cars.com. Don't be a "monthly payment buyer" and only look at the payment amount - that is the worst thing you can do. Doing this or becoming a "trade-in buyer" is exactly what the dealer wants and you'll play right into their hand. Once this happens, you'll get ripped off, I guarantee it! 2. When is the best time to buy a new car? This is more complex than you think. The incomplete answer is there are two "best times." September and October, as dealers sell off cars to clear space for the new models. Also, December when everyone is out shopping for XMAS gifts, leaving dealer lots void of customers, motivating them to cut prices to meet year end sales goals. For complete details visit our article: Best Time to Buy a Car. The last time I bought a vehicle I was able to do all my homework without leaving my house. In the "old days" you wasted hours at many dealerships. Luckily, the internet was invented so you don't need to leave the comfort of your couch. There are many great sites that allow you to research and get quotes. Once you have determined the best price, take your research to the dealership and calmly negotiate the best deal. Exclusive for our visitors, this Free Research Tool gives you special friends and family pricing. Leveraging volume purchasing power of large companies and membership groups. Choose your automobile and configure options online. Get an instant quote from a local dealer in the network. If you don't enjoy haggling, you'll love our service. As you follow this guide, you'll find there are a few critical pieces of information that you need to make sure you're getting a great deal. They include invoice price, rebates and incentives. We'll cover these in more detail later, but you should know, when talking about rebates and incentives there are some that are advertised and some that are "secret" between the manufacturer and the dealer. The most important thing to remember about invoice price, is that it is not the amount the dealer paid for the automobile. We show you how to calculate what the dealer actually paid later in this guide. Secret factory to dealer incentives can be $1,000-$6,000 in addition to known rebates! Because of secret incentives, if you pay invoice, the dealer makes extra profit. You should haggle over this incentive, as many dealers willingly give up part or all of this incentive. If you want the most accurate, complete and up to date data, I'd recommend acquiring the FightingChance package. They will also talk to if you have questions as you go through the buying process. Enter the dealership armed with "The Car Buying Folder" that I'll talk about in Chapter 3. Once they see you're prepared, it works to your advantage. The deal will now proceed on your terms, not theirs. Don't enter a dealership without having multiple price quotes! Commissioned salespeople fear "The Folder" because they know you did your homework. Salepeople rely on uneducated buyers who don't do their research. Competition also works to get the best rate on your loan. The dealer is not the only one that can finance your automobile, online lenders are available. Once approved, you'll have a check in hand and know your APR before stepping foot in the dealership. Use your low rate to negotiate with the dealer or use your online financing if they won't match or beat the online rate. We cover this in more detail in our auto loans chapter. Remember, price is only one component of a complete deal. TrueCar gives you great baseline pricing. Check the curve to see how your quotes stack up to what other paid. If their price is better, print the Guaranteed Savings Certificate and head to the dealership for a hassle free deal. Remember, you still have to pay attention to the other aspects of the deal that we discuss.